What limits physician productivity in today’s healthcare system? Dr. Furlong: When I started practicing, about 80% of care was provided by general practitioners (GPs). Today, they do almost no hospital work, except in rural areas. They’re giving up emergency room coverage, hospital care and most intensive care. I’m not sure we’re getting the bang for the buck in primary care today. GPs are now office-based, and hospital-based specialists have taken on much of the former GP’s volume of work. By moving toward subspecialties in the training of our medical staff, we’ve lost the old general surgeons and internists. Dr. Hudon: We’re working hard now to rearrange the roles of GPs and medical specialists. In Québec, the two federations of doctors have finally admitted that they haven’t been talking to each other for 30 years and that they have to work more closely together. Medical specialists need to act as consultants and be available for advice. GPs have to do the follow-up and call when they need us. Dr. Chaoulli: There’s a lot of waste and mismanagement in the system, and bad decisions by the doctors who are driven by fee-for-service, but it comes down to two points: first, patients have no idea how much the services cost. Second, patients are not accountable at all for the way they use the healthcare system. Dr. Taras: Medical knowledge has gone so far that, from the perspective of a family doctor, I don’t think we can remember everything, so using technology and tools that allow us to work with best practices and monitor what we do is essential for good outcomes. In the management of health care, I believe that if we outsource a number of services, and run these services privately within a public system, we can drive efficiency. Today, with new technology, a lot can be done without hospitalizing a patient. They should be able to go to an ambulatory centre instead. Dr. Furlong: We’ve run into an interesting problem in New Brunswick, which is partly my doing. We established a mindset of collaborative practice vs. fee-for-service. And now we’re finding that in the community health centres, GPs who were put on salary and work 40 hours a week are much less productive. These same doctors who were, under fee-for-service, seeing 35 to 45 patients a day in their private offices are now seeing 8 to 12. I’ll let everybody else decide whether that’s better care or worse care, but there’s no productivity, there are long waiting lines at community health centres, and patients are being seen in the private offices. Performance guidelines for productivity are essential. 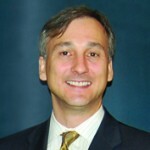 Dr. Wade: For specialists, most alternate funding systems are taking the form of blended arrangements where specialists will be paid for teaching and research and administration in one lump sum with deliverables and job descriptions and contracts, but will be paid fee-for-service for seeing patients with incentives to perform. Dr. Furlong: Salary plus incentive makes a lot of sense. Dr. Wade: Nova Scotia has it. It will be part of the negotiations in Manitoba. It’s going to point out how appalling funding of medical schools, teachers and clinical scientists is in this country. We’re not going to be competitive in attracting clinical scientists if we don’t fix it. Dr. Scully: I was one of the champions of producing more physicians and chaired the health human resources committee for eight years. At present, we have a net gain of 1,600 new doctors a year from graduation, and 200 to 300 coming in as international medical graduates. We’d best be careful what we wish for because we may find that as we move to more inter-professional care and team-based approaches, we’ll soon see an overabundance of doctors. Dr. Wade: Medical education needs to be reinvented. We can’t teach in the current tertiary care institutions anymore. We can’t take a junior resident into the operating room and let him stumble through a 3-hour gall bladder surgery because we don’t have that kind of operating room time anymore. So the old way of teaching is gone and we have to develop new methods. Can the private sector help to improve care? Dr. Scully: The Neurosciences Centre at the Toronto Western Health Sciences Centre, with which I’ve been involved, is a very strong partnership between the private sector — which provided the money to equip the facility — and the public sector, which funds the delivery of services. The centre has become one of the top three units in the world in just three years. Before, Ontario was spending a lot of money to have people go down to Buffalo or Johns Hopkins. Now patients can obtain the services at much less cost to government. The physicians, together with the hospital administration at Toronto Western, went to the Minister of Health and said this is how much money you’re spending for these services in the U.S. We told him that if we could get the benefactors to provide the equipment, we would deliver equal or better quality for much less. Dr. Eidelman: That’s almost symptomatic of the problem we have with redirecting resources, that you had to go explain to government that they could spend their money better in Ontario than in the U.S. It shows that government didn’t know what to do, so they sent people to Buffalo. We lack mechanisms for changing historical patterns of care and we lack competitive drivers to redirect resources from one area to another as the needs and interests of patients shift. Dr. Brophy: Why did the government, once you had done your homework and pointed out a substantial health problem, advocate a role for the private purse? Dr. Scully: The government can’t buy all the technology we need. In the case of the Neurosciences Centre, the investment was something like $70 million, and it would have had to be made at one location that would serve a lot of Eastern Canada. But given the competition that goes on between institutions on the public side, other facilities weren’t going to agree to have the government put so much money into one site. So we got private donors to do it. It’s ended up being a very good partnership. The same has happened in cardiac services in downtown Toronto: a lot of private donation for the facilities and technology, hybrid operating rooms and investigation units, and public dollars to run it. The benefactors have been happy with it and the government’s happy with it. They’re actually spending less money than they were before to provide these services to the public. We have to acknowledge that there’s a strong private sector. It’s there, at about 30%. Let’s not pretend it isn’t. Let’s make that partnership work. The tax system could be such that benefactors could in fact get a better break in this country, as they do elsewhere, by contributing the resources needed to obtain this kind of technology. Dr. Hudon: I believe we should outsource from hospitals everything which is out-sourceable, from laundry and food supply to a lot of medical care, including all those minor operations, endoscopies, a lot of imaging procedures, in order to achieve better allocation. It would be private delivery of medical care within the public system. Dr. Furlong: We can’t be everything to everybody every day without regard for cost. The rates of growth of the Canadian healthcare system are 7-9% for all provinces, which is far more than growth in gross domestic product (GDP). We can’t continue Canadian egalitarianism with growth at those rates, especially in poorer provinces. We have to go back to the Canada Health Act (CHA) and rework it in order to maintain the public system, because Canadians have said very clearly that they want egalitarian no-cost-barrier access to healthcare in Canada. “Comprehensiveness” inside the CHA has to be addressed, as does “publicly funded,” in order to allow a pragmatic answer, which is accountability at the interface between patient and provider. With that, we might be able to cull out some of the useless utilization in the system. Dr. Scully: I don’t particularly believe that we have to reopen the CHA. Medicare was created in the first place for physicians and hospital services. Those have not tracked above inflation since the beginning. What has cost a great deal more are the additions, during good economic and political times, that win votes and then are cut when governments realize they can’t afford them. Dr. Chaoulli: We should remember that the first Act was not in 1984, but in 1966, and in this first version, there was no prohibition on user fees or extra billing. We acknowledge that 30% of the healthcare system is already under private financing, but we should look back at the historic origin of what that 30% involves. The deal at the inception of the Medicare system told the private insurance companies to stay away from medically required services because government needed to establish a state monopoly on their financing. Governments appeased the insurance companies by giving them a large share of the pie with non-medically required services. It was good, easy money with very low risk on an actuarial basis. So private insurance industry got their 30% of the pie. But this 30% is largely made up of healthcare services provided by non-physicians, which are not really what the patients or the employers who contribute to these insurance plans need most. Thirty years ago, employers didn’t care about the state monopoly on medically necessary services because there were no waiting lists. Now they’re pushing to open up the insurance market in medically necessary services because they want to pay for what they need. Employers and employees are mad about being sick and on sick leave and unable to receive treatment. We can talk about changing the CHA, but I feel it has absolutely no legitimacy because this is a provincial jurisdiction and it should be governed by the provinces. The CHA prevents provincial governments from experimenting with new ways of financing medically required services in a context of universal coverage. Mr. Lord: If we had a structure 40 years ago similar to the CHA — a federal legislation that prevented provincial innovation — we would not have the healthcare system we have today, because the federal government would have blocked what happened first in Saskatchewan. I’ve suggested to numerous federal prime ministers and health ministers that they should just let provinces take the heat. If a province wants to innovate in terms of how they fund or deliver healthcare, as long as there’s portability across the country, they should be allowed to justify it to their voters and see what happens. That would be entirely within our constitution. Dr. Eidelman: The real problem I have is that the decisions that are made — and the CHA is the perfect example — become permanent. There’s no mechanism to change the CHA. It has come to be perceived, at least by federal prime ministers, as politically fatal to open it up. And it doesn’t matter that the social demographics of the 1960s that informed the CHA are completely gone, that the services on offer and the needs of the population have completely changed. I have a much greater need every day for things like long-term care facilities and proper home care for my patients, but I have no way to redirect the resources of the organization, nor the regional resources, to meet these needs. We just had an accreditation of our hospital and one of the criticisms was that we weren’t moving patients off the wards very effectively. And this is caused by misallocation of resources at a regional rather than hospital level. The difference between a free market system and a public healthcare system is who controls the resources. To me the hard question is how to devise a public system that allows the resources to go where the needs are. The answer, and I do think you have to open the CHA, is to allow evidence to drive where investments go and allow decisions about where we invest public dollars to be informed by the social needs we have. If people need home care, then that may be a better place to put dollars than necessarily covering the full cost of orthopedic procedures. The CHA specifically makes it impossible because it was designed in the 1960s when hospital care and doctors’ fees were the key social issues. They’re not the most important social issues of 2007. Dr. Scully: The CHA is actually quite permissive in its language. There’s no reason we couldn’t begin to take funds and put them into the community setting. Dr. Eidelman: But we have to replace them with funds from somewhere else. Dr. Scully: The notion you raised was that the CHA prohibits that, and it doesn’t. It becomes a matter of choice as to what the provinces want to do. Dr. Eidelman: Would it allow you to transfer the private part of the healthcare system to hospital-based services in lieu of home care services? Dr. Scully: No, but it doesn’t say that you can’t have more public support for home care services. Mr. Lord: But that’s outside the CHA. Dr. Hudon: The experience with reallocating resources is that too often they are cut from the hospital budget but never reappear in the community care budgets. Dr. Brophy: The government just did it again last year. They transferred the psychiatry services out of the big hospitals to the community without transferring the resources. Dr. Hudon: Maybe at this point I can express the views of the body that I represent, the Fédération des médecins spécialistes. We believe the CHA is a bit like the Koran or the Bible. Problems stem not really from what’s written in it but from how people interpret it. We’re very comfortable with public funding and want to keep it this way. What we have problems with is the management. The CHA says we should have a public health insurance system with public administration. I don’t think the Act was ever meant to create a wall-to-wall state-governed health system but this is what happened. Government decides how many students will be admitted to first year medical school, how many resident positions, where physicians will work, what the hospital budget will be, whether the operating theatre will be closed or open. We’ve been talking about physician shortages in this country, but we forgot to tell the public that we had plenty of surgeons doing nothing but waiting for the operating rooms to open so they could operate on their patients. Dr. Furlong: The only controls governments ever have are what are surreptitiously called soft caps. If you dictate the number of doctors, beds, nurses, etc., then you can soft cap the controls. If you have a waiting line that goes back a certain distance, it serves as a soft cap on utilization. It’s the only tool governments have. They can’t turn around and increase spending from 45% to 60%. Dr. Taras: We’re providing some of the out-sourceable medical services mentioned by different speakers at our centre. Obviously, we believe very much in a model of private management within a public system. What amazes me is that even though our position is clear and was clearly stated, we still hear and read in the local media the whole bit about a two-tier system. I don’t know where the gap is and where people misunderstand the positioning. Our approach is all about efficiency and trying to improve the outcomes of patients. Dr. Hudon: The fear of private medicine doesn’t come out of the blue. Some people are expert at explaining things the wrong way. Whenever we tell our patients, do you know that this is a private physician’s office, they say no, this is the public system here. And this perception is maintained by a lot of people who benefit from keeping it this way. When we go and talk to the government, we represent 8,000 physicians. When the local union leaders go to the government, they represent hundreds of thousands of people, and when the 3 unions are there, they represent millions of people, so governments listen. The group had some very interesting views on the CHA that seem to indicate that we need to look at what’s truly important to Canadians today, and then examine how the Act may be out of step with current issues. It needs to work for today’s challenges. Dr. Hudon is a diagnostic radiologist at the Institut de Cardiologie de Montréal. Dr. Scully is Professor of Surgery at the University of Toronto and Senior Cardiac Surgeon at the Toronto General Hospital. He has headed both the Ontario and Canadian Medical Associations and the Canadian Cardiovascular Network and was one of the founders of the Cardiac Care Network in Ontario. Dr. Wade is an anesthesiologist by training and is Dean Emeritus at the University of Manitoba, Founding Chair of the Patient Safety Institute and Chair of the board of the Winnipeg Regional Health Authority. Dr. Wade was also Deputy Minister of Health under Premier Gary Filmon in Manitoba and worked to regionalize health care in Manitoba. Dr. Brophy is a cardiologist at the MUHC and associate professor of medicine at McGill University. He completed a PhD in epidemiology and biostatistics and became the director of the TAU to provide clear, transparent evidence for decision-makers.